Health experts tell us we should do “cardio”. Researchers say it’s good for our hearts, lungs and minds. What is cardio exactly? Does it really help us? And how do we know if we’re doing it right? Today, I’ll break it down from a trainer’s perspective. By the end, you’ll know how to get the best health benefits with your personalized cardio zone. Cardio is any type of exercise that gets the heart pumping at a moderately intense level. We can do cardio on a bike, on a hike, with a jog, or a swim. We can row for it, repeatedly throw for it, lift for it or get it counting steps. The key is to achieve moderate intensity. How do we know if exercise is moderately intense? Two ways. One technique is easy. It’s based on how we feel. The other is more scientific. It’s based on our heart rate aka the number of times our heart beats per minute. There are pros and cons to each technique. When you exercise, you have an idea how challenging exercise is for you based on “how you feel” (aka Rate of Perceived Exertion or RPE). For example, riding the bike may feel easy, whereas doing the elliptical machine may feel challenging. Some trainers assess “how you feel” based on 1-10 scale. They want to find moderate intensity for you. Moderately intense means that out of a 1-10 scale, where 1 is very light activity and 10 is a max effort activity, you feel you’re in a range of 4-6. What if you don’t have a trainer? Hop on a piece of cardio equipment (bike, treadmill, elliptical) and move it faster and faster until you feel you’re in a 4-6 range of intensity, a range that is moderately intense. Then, when you exercise, strive for that feeling – not too light, not too hard. It’s a pretty straightforward technique. It comes with a downside. Fitness experts know it’s not very objective. So, while it’s a good place to start, it’s even better to get some objective feedback. For a more objective and accurate approach, trainers use heart rate methods. 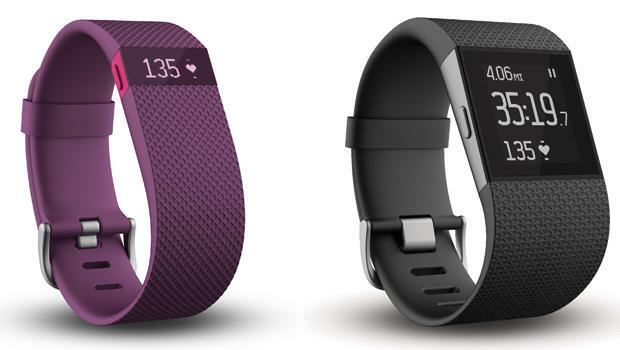 This is where FitBits and heart rate monitors become cardio allies. For more precision, you can find moderate intensity by monitoring your heart rate. This is how most fitness experts support their clients during cardio workouts. Personal trainers will help clients find the optimal heart rate range for exercise, aka a personalized cardio zone. Trainers will encourage clients to reach their personalized cardio zone when exercising. They have good reason for doing so. I’ll explain that in a minute. For now, let’s get to your personalized cardio zone. Each of us has a personalized cardio zone or Training Heart Rate Range (THRR). This is the range your heart rate should be during exercise for health benefits. Your personalized cardio zone depends on a number of factors (age, resting heart rate, training goals, fitness level, medication use, gender, pregnancy status, etc). I’ll explain the details shortly. But first, let’s talk about why your personalized cardio zone or THRR matters. Your THRR gives you a tangible and measurable feedback during exercise. This range aligns with research findings shown to improve the health of your heart, lungs and brain. What’s more is the positive impact cardio has on the brain! Cardio is aerobic (with oxygen) exercise that researchers found to be incredibly beneficial for the brain’s development, regardless of age. …exercise provides an unparalleled stimulus, creating an environment in which the brain is ready, willing and able to learn. Cardio makes the brain smarter. It keeps the brain younger too. Dr. Robert Dustman, director of Neuropsychology Research Laboratory at the Veterans Affairs Medical Center in Salt Lake City found that aerobically fit sixty-year olds can mentally match people half their age. On many measures, the older men in good condition scored just as well as men thirty and forty years their junior. Dustman estimates that a non-exerciser of virtually any age may begin to see results within six months. Want a smarter and younger brain? Exercise in your personalized cardio zone. What’s your personalized cardio zone? I’ll show you how to find it. Your THRR is the recommended heart rate to strive towards during exercise. Here’s a formula to find it. With your intensity level in mind, let’s find your THRR by following the example below. 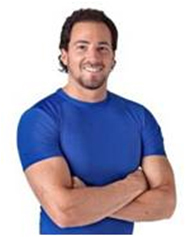 Our example is with a 39 year old fitness beginner who wants to try a light to moderate intensity level. She has a resting heart rate of 75 beats per minute (resting heart rate is the number of times your heart beats per minute at rest) and takes no medications. Her THRR or personalized cardio zone falls between 128 to 144 beats per minute. Using the same formula, plug in your age, resting heart rate (number of times your heart beats per minute at rest) and fitness experience. For max health benefits, consider these last couple of recommendations before you exercise. Now that you understand the purpose and ways to find your personalized cardio zone, here’s a few more things to think about. Getting Results – When it comes to exercise results, experts from the CDC (Center for Disease Control) suggest 18-64 year old folks get 150 minutes of moderately intense aerobic activity a week – about 20 minutes a day. Effective Exercise – Knowing your THRR can help you measure the effectiveness of various exercise routines and determine if you are under or over training. For example, if you can easily do a 20 minute workout with a THRR at 55% (light), maybe it’s time to increase your THR up to 60% (light to moderate). Real-Time Feedback – By monitoring your heart rate during an exercise session,or by using an exercise machine’s heart rate sensor, you can adjust your effort in real time to reach your personalized cardio zone so that you can achieve your desired results and goals. Cardio Intensity – Fitness experts encourage folks to aim for moderate intensity during cardio workouts. Intensity can be assessed by how we feel or by our heart rate. THRR Matters – Studies show that reaching your THRR or personalized cardio zone benefits your heart, lungs and brain. Find Your THRR – Pick an intensity level based on your fitness experience. Beginners should start at 50% and strive for 65% based on the formula provided in the article above. Personalized Recommendation – For max health benefits for 18-64 year olds, the CDC recommends 150 minutes per week in your THRR – roughly 20 minutes per day.